When it comes to aging, the approach seems to be fairly one sided: we want to increase our lifespans. While increasing lifespan may be possible, the idea of infinitely extending it seems somewhat far-fetched. However, what does not seem far fetched is the idea of facilitating a healthy aging process, rather than trying to completely halt it. The reality is that we will more than likely never be able to fully halt aging, so why don’t we focus our efforts on aging in a sustainable manner? Think of it like wine, there is no realistic way to fully halt the aging of wine. However, the aging process can be steered in a manner that makes the wine develop properly over time to produce new and unique flavours and textures. So much so that properly aged and extremely old wines sell for enormous amounts of money such as a 1941 bottle of Inglenook Cabernet Sauvignon from the Napa Valley which sold for a whopping $24,675 USD in 2004! That being said, if the wine is aged improperly it will simply turn into vinegar. This concept is of course only loosely related to human aging but there are still a lot of parallels that exist between the two. For example, people who play high impact sports throughout their lives have much higher incidences of knee problems later in life despite possibly living very long lives. The same goes for wine. If you excessively knock wine around, it will likely not age as elegantly as a bottle that is perfectly preserved without any major agitation. Individuals who experience large amounts of neuro-oxidative damage in specific brain areas can develop diseases that impair cognitive function despite being able to live very long lives. Again, the same goes for wine. If a lot of oxygen is getting into your wine while it is aging, it is very likely that the wine will loose much of its flavor and color. Based on the above, it is in our best interest to take preventative steps during the aging process to ensure healthy aging so that we not only live long lives but that we live long and happy lives. Below you will find a comprehensive guide that we have put together that goes over many of aspects of aging that can be attenuated with a smart natural nootropic supplement regimen in order to potentially stop some of the damaging aspects of aging. N-Acetyl L-Cysteine: Benefits of N-acetyl L-cysteine include its ability to potentially increase the levels of glutathione, one of the most powerful antioxidant enzymes in our body. N-acetyl L-cysteine may also scavenge hydroxyl radicals and hypochlorous acid, two powerful oxidants produced in our bodies. Unfortunately, N-acetyl L-cysteine does not protect against superoxide nor hydrogen peroxide-induced oxidation, thus it gets close to being the end all be all antioxidant supplement but it will need a little help to offer the most comprehensive protection against oxidative stress. Polygala tenuifolia: Benefits of polygala tenuifolia are very extensive (we will come back to it later in this article) but most important to note in this section is that the benefits of polygala tenuifolia include its potential ability to increase superoxide dismutase, catalase and glutathione peroxidase. The most important of these being polygala tenuifolia’s ability to potentially increase superoxide dismutase - an enzyme that breaks down superoxide to either hydrogen peroxide or free oxygen. Hydrogen peroxide is also an oxidant but to a lesser extent than superoxide. Polygala tenuifolia also increases levels of catalase which is an antioxidant enzyme that breaks down hydrogen peroxide to water and hydroxyl radicals. The hydroxyl radicals also produce oxidative damage, however, N-acetyl L-cysteine scavenges hydroxyl radicals preventing the oxidative damage it can potentially induce. The combination of N-aceyl L-cysteine and polygala tenuifolia may protect from the bulk of oxidative damage and has a very comprehensive antioxidant effect. What is Mitochondrial Function and How Can We Improve it? Once we have oxidation under control, we can now focus on improving mitochondrial function rather than preserving it. It has been found that the more active and healthy our mitochondrion are, the better we age. One major regulator of mitochondrial function and cellular energy is creatine. Surprisingly, creatine supplementation is often overlooked even though it appears to have very potent anti-aging effects. A creatine monohydrate supplement has the ability to support healthy mitochondrial function whilst also preserving muscle mass and strength. Creatine also has the potential to increase overall vitality due to increasing both mitochondrial function and muscle function and thus it is very beneficial to take a creatine monohydrate supplement in order to slow age-related degeneration. Another great mitochondrial function enhancer is a shilajit extract called Primavie. This is especially true when it is combined with ubiquinol, the reduced form of coQ10. Shilajit extract contains compounds such as fulvic acid and dibenzo-alpha pyrones that are targeted mitochondrial antioxidants which also increase ATP production. Shilajit is good for enhancing the effects of ubiquinol, and ubiquinol may reverse aging by itself, thus the combination significantly helps in reducing the negative effects of aging. We could go into a lot more depth about shilajit since it is a very interesting natural extract, but we already did that in this blog post so we will spare you the details here! Another major troublemaker when it comes to aging is inflammation, both in our bodies and in our brains. As we age, we progressively lose our ability to fight off inflammation which can lead to pain, mobility issues, and perhaps most debilitating: cognitive decline. Because of this, it is no surprise that turmeric and its beneficial compound curcumin are picking up a lot of traction when it comes to the topic of aging. This is because turmeric and curcumin do a fantastic job at supporting healthy inflammation levels throughout the body, especially formulations such as Longvida curcumin which is designed to specifically regulate inflammation in the brain. One major pathway by which you may amplify and improve upon the inflammation-regulating effects of turmeric and curcumin is to increase cholinergic signaling. More specifically, increase cholinergic signaling in areas of the brain that have a high density of a particular acetylcholine receptor called the alpha 7 nicotinic acetylcholine receptor (α7nACh). The α7nACh receptor is a major regulator in the brains inflammatory response that works by inhibiting the release of TNF-alpha, a major inflammatory cytokine. To target this aspect of inflammation we have to inhibit the tetrameric form of the acetyl choline esterase enzyme (AChE) an enzyme which breaks down acetylcholine and is expressed only in the brain and specifically in regions of the brain that have a high density of α7nACh receptors such as the cerebral cortex, hippocampus and the amygdala. To inhibit tetrameric AChE, huperzine a may be used which appears to be a highly selective tetrameric AChE inhibitor. Huperzine a, by inhibiting tetrameric AChE leads to increased levels of acetylcholine which then leads to activation of the α7nACh receptors which, in turn, potently regulates inflammation in key areas of the brain prone to inflammatory damage. Another popular supplement for regulating inflammatory damage are fish oil supplements. Fish oil's beneficial effects include not only regulating inflammation but also the maintenance of brain membranes. However, just like curcumin and turmeric, this is already fairly well known so we decided to find a synergistic and potentially improved addition and/or alternative to fish oil supplements. Our top candidate for this is palmitoylethanolamide, which may regulate inflammation.. In fact, you can read more about that in this comprehensive blog we wrote about palmitoylethanolamide. A potentially-effective combination of ingredients to regulate both inflammation throughout the body and the brain would be palmitoylethanolamide and huperzine a.
Additionally, a fish oil supplement may also be added to this combination and will be especially beneficial if it is paired with a phosphatidylserine complex called ‘ Smart PS’. Phosphatidylserine benefits brain health by both increasing cell membrane synthesis, making it highly synergistic with fish oil. It also downregulates acetylcholine esterase and thus it should also work synergistically with huperzine a to regulate inflammation. The brain is metabolically active which causes the production of a lot of waste products that need to be adequately dealt with. One of the ways our brains deals with containing, neutralizing and eliminating damaging metabolic waste, is by sleeping. However, sleep tends to become worse and worse as we age and one reason for this could be decreased melatonin production. This is a quick and easy fix, simply take 300mcg of a melatonin supplement once per night which may improve overall sleep quality in addition to providing significant antioxidant effects in the brain. To be more specific, it appears that our brain clears the most metabolic waste during slow wave sleep (SWS), thus by increasing slow wave sleep we could potentially clear more metabolic waste products from the brain during sleep which should lead to more restorative processes taking place in the brain as we sleep. It has been found that rosmarinic acid, which is found in both of our lemon balm extracts, speeds up the time it takes to fall asleep and once asleep, enhances slow wave sleep. Theoretically this could mean that lemon balm extract leads to more restorative sleep and, in conjunction with a melatonin supplement, could make sleep come on more readily. A clinically-trialed lemon balm extract called Cyracos has a very high amount of rosmarinic acid. This would likely be the best lemon balm extract for promoting slow wave sleep. Nitric oxide is a gaseous neurotransmitter, that is an important regulator of blood flow and brain health. Nitric oxide is produced by three different synthase enzymes, neuronal nitric oxide synthase (nNOS), inducible nitric oxide synthase (iNOS) and endothelial nitric oxide synthase (eNOS). The only synthase that can be beneficial when it is more active is eNOS, which prevents some of the damage produced by iNOS and nNOS by producing vasodilation. As we age it appears that specifically the activity of iNOS and nNOS gets upregulated which could be caused by decreasing levels of agmatine. Agmatine, inhibits both iNOS and nNOS whilst preserving eNOS activity and it is interesting to note that agmatine (an endogenous neurotransmitter), levels decline significantly as we age. 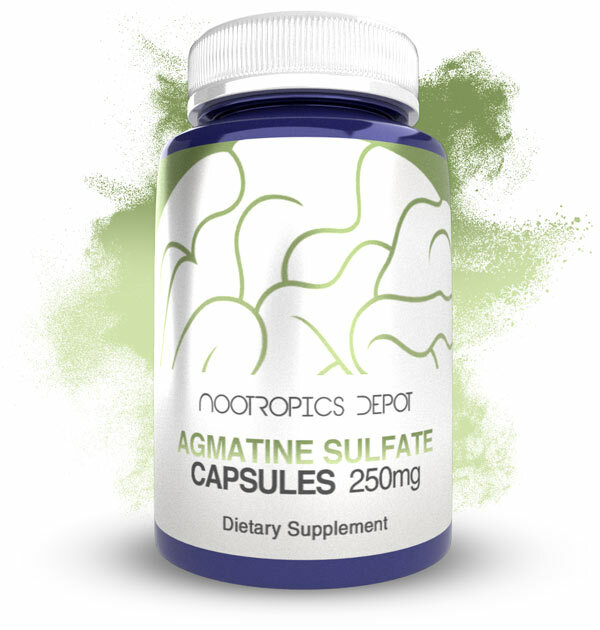 Based on this, the best way to regulate NOS function as we age, is likely by using an agmatine supplement to replenish declining agmatine levels. Agmatine effects are not just limited to preventing excess nitric oxide levels, as it has been shown that an agmatine supplement can help preserve and optimize memory. 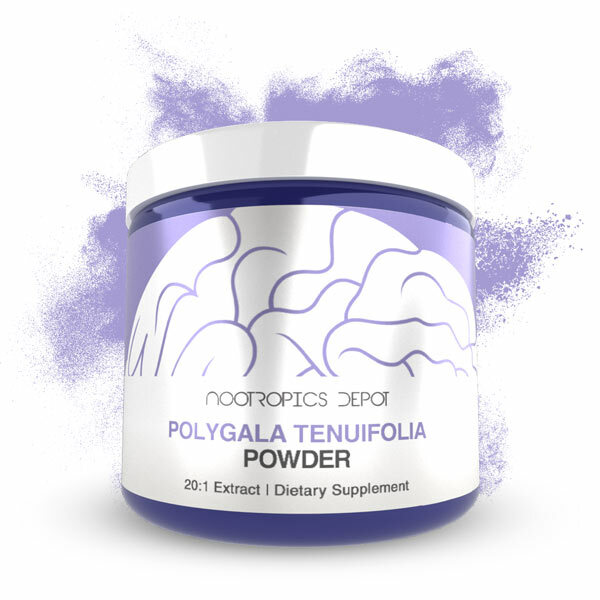 As was mentioned earlier, we would be coming back to polygala tenuifolia as it appears to be very useful at promoting healthy aging as one of the main benefits of polygala tenuifolia is increased neuroplasticity. In addition to that, it may also increase cholinergic function which is highly important in maintaining and enhancing cognitive function. As we age, the levels of two major neurotransmitters called dopamine and serotonin start to decline. Polygala tenuifolia may help to increase the levels of these neurotransmitters. It is unsurprising that in traditional Chinese medicine polygala tenuifolia is highly regarded for its ability to improve cognitive function as it has many mechanisms by which it may do this. Finally, the last part of the equation: telomeres. This is where we really start to get into the actual idea of life extension, so we thought it was appropriate to end things here and keep it brief, since our aim is more focused on improving the aging process rather than extending life span. That being said, there does seem to be some solid evidence behind telomere lengthening leading to extended lifespan. Telomere length testing has become widely available at reasonable costs recently, so a lot of people are focusing their efforts on optimizing their telomere length as they now have access to a concrete way of testing how their telomere length is changing. Often forgotten about, an L-carnosine supplement may have significant anti-aging effects via modulating telomeres. Carnosine benefits telomeres in two ways. Carnosine both protects telomeres from potential damage while also promoting the lengthening of telomeres. Due to this, carnosine is good for supplementation as a potential life extender. In addition to the ability of an L-carnosine supplement to increase life span, carnosine benefits skin health too which is also an important aspect of aging.